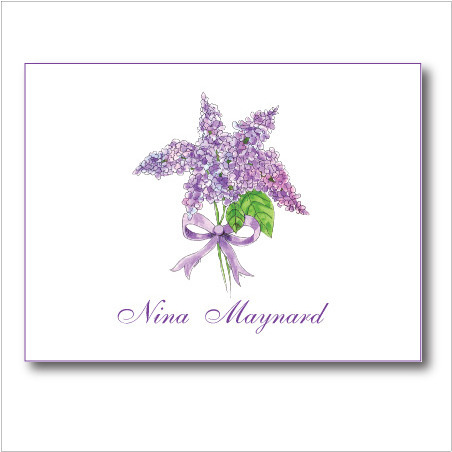 Meant as a compliment to the lilac bridal shower invitation or simply as your own lovely floral note card set, this hand drawn bunch of lilacs is simply gorgeous! The lilacs have depth and beauty on this blank folded note card. Use as thank you notes or social stationery. Size - 5.5" x 4.25" Quantity - 12 note cards, 12 matching envelopes. Stock - 80lb cover Contact me for personalization.